October has been designated National Pork Month. That makes it an especially good time to reflect on the importance of the pork industry to this state. It’s unlikely that anyone who lives in Iowa does not already know that pork production contributes mightily to the economic vitality of the Hawkeye State. It may come as a surprise, however, that hogs raised in Iowa account for more than 30 percent of U.S. hog production. Iowa ranks as the nation’s top hog-producing state. It’s also the top state for pork exports. • Hog farming contributes $7.5 billion to the Iowa economy each year. • The total production value for Iowa hog farming exceeds $6.5 billion. • Several billion dollars in economic activity is generated annually from pork processing. • Annual Iowa pork exports are valued at more than $1 billion. 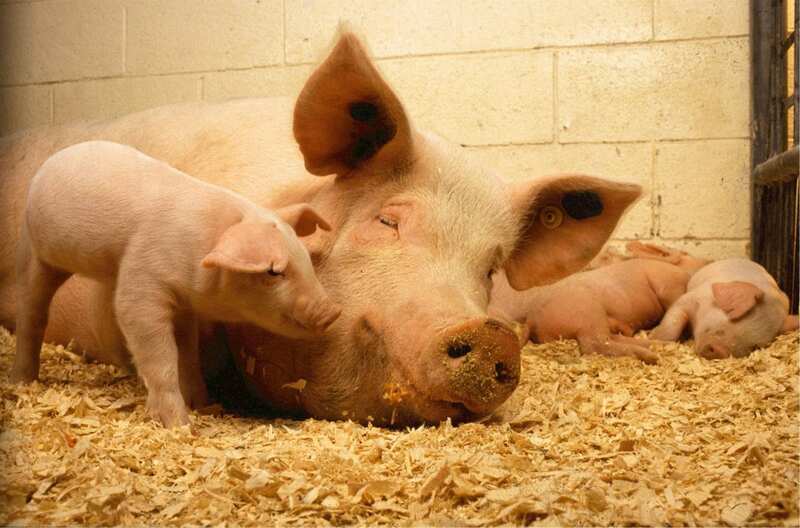 As of 2012, Iowa had 6,266 hog farms. • Iowa producers marketed more than 49 million hogs that year. This statistical overview of pork production in Iowa illustrates the magnitude of this critical industry. It should leave little doubt that pork producers help keep Iowa prosperous and are key players in the state’s economy. There’s good reason not only for those people who work in the pork industry, but also everyone else who resides in Iowa to join in celebrating National Pork Month.